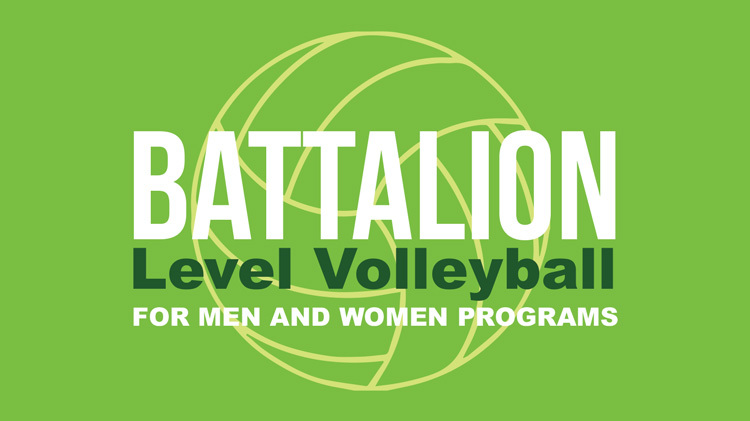 Battalion Volleyball is part of the Army Sports Program, whereas Battalions formulate their teams to compete against other Battalions on the installation for the right to play in a Regional Championship and then on to an Army Championship. This League is for Active Duty Military Only. Men's and Women's Programs Offered. Teams must have a signed, by their Battalion Commander, Memorandum of Intent to Play.